MU DELTA TAKES THE GOLD! Luke Henderson is the Historian & Social Media Officer for the Mu Delta Chapter of Kappa Delta Pi at the University of Missouri. Black and Gold donuts, overflowing jars of pennies, and guest speakers are just a few of the joys that can be experienced at the University of Missouri’s Education Week. Ed Week not only allows students to become better educators, it also encourages some healthy competition. 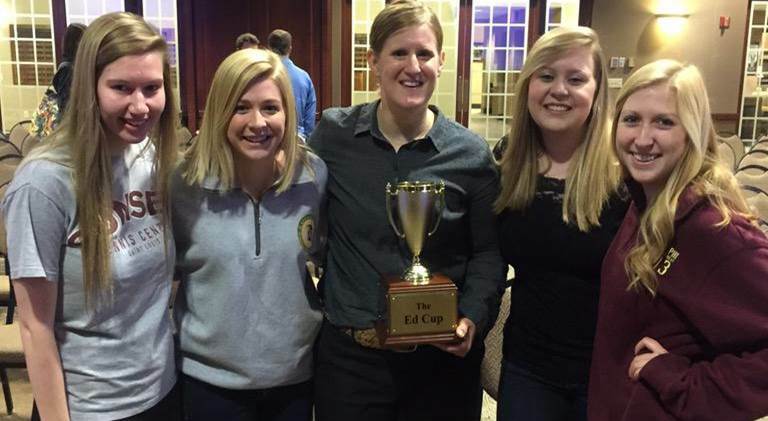 Each year, teams can compete for the coveted Ed Week Cup. Teams obtain points through attendance and participation in the events throughout the week. This year events included Penny Wars, which raised $483 for the Be The Change Volunteers, donations to the food bank to create BuddyPacks, an education organization mart, and ended with a keynote presentation by Dr. Jimi Cook. 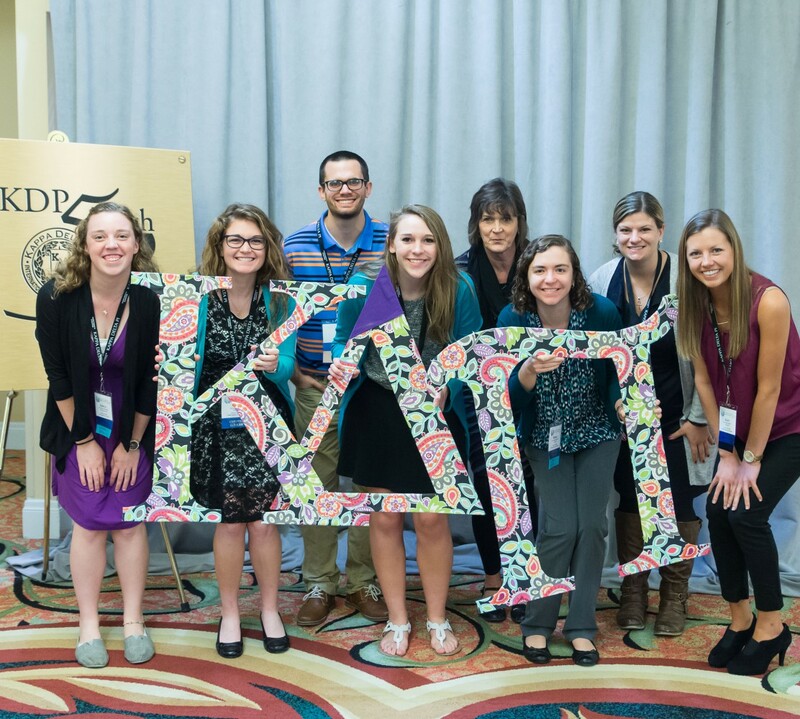 When our new executive board was elected, we decided one of our goals was to promote and spread our chapter and organization so that more students would be aware of Kappa Delta Pi. We knew by winning the Ed Week Cup, we could accomplish this goal. Exec heavily promoted attendance to all events and encouraged us to be the most spirited organization participating. Our team for the I-Pad challenge, which was a demonstration of any new app to use in a creative way in a classroom, got third place. Our booth for the organization mart was extremely decorated and it helped that there was free popcorn for people who visited. The booth was a huge success! We ran out of informational flyers and many people asked when they would be able to join. Throughout the week, our penny jar was always filled and we made generous donations to create several BuddyPacks. The week ended with Dr. Jimi Cook, Professor of Veterinary Medicine at the University of Missouri, who asked the audience to think about a world without educators. Dr. Cook and his wife, Cristi Cook, founded the Be The Change Volunteers that builds schools around the world. Their main goal is to provide students around the world with the opportunity to obtain a better education. They do so by providing the school buildings for the community and then encouraging those students to be the change in their community. It was an inspiring presentation that truly motivated all of us to be the change in our own communities. At the end of the presentation, the envelope was opened to reveal the winner of the Ed cup. We were very excited when it was announced that the Mizzou’s chapter of Kappa Delta Pi had won the award!